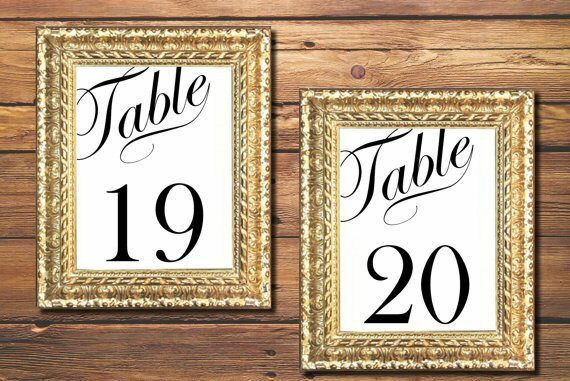 First things first: what are printable table numbers? Well, they’re exactly how they sound: table numbers you can print at home. 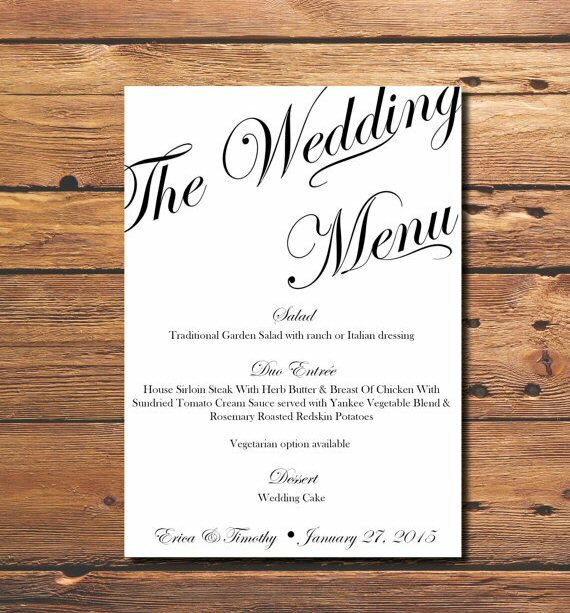 Instead of messing around with Microsoft Word or Photoshop without any fantastic DIY skills, some stationers are happy to help you with a professional, custom design made just for your wedding. 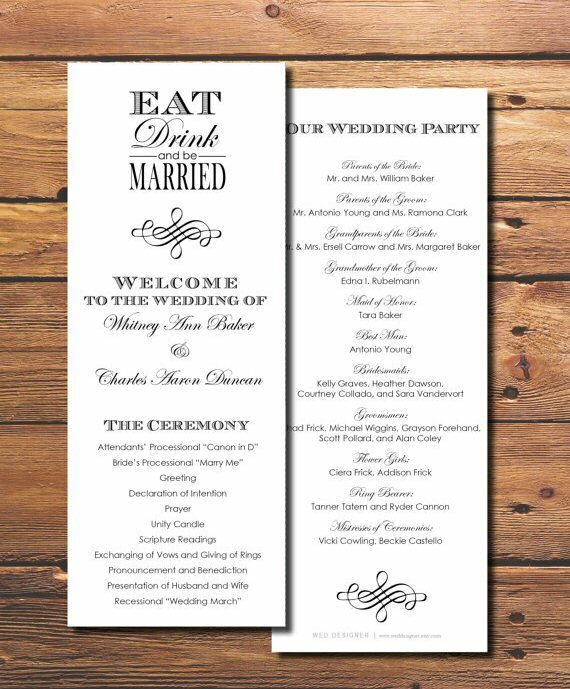 For instance, Wed Designer owner, Tori, specializes in some printable table numbers, menus, and more for the bride-to-be who wants to print at home. Whether you’d like to try your hand at DIYing a part of your wedding or you’re running out of time, printable is the way to go. And, she’s a sweetheart for providing tips and instructions along with your printable design file so you’ll print without a problem! 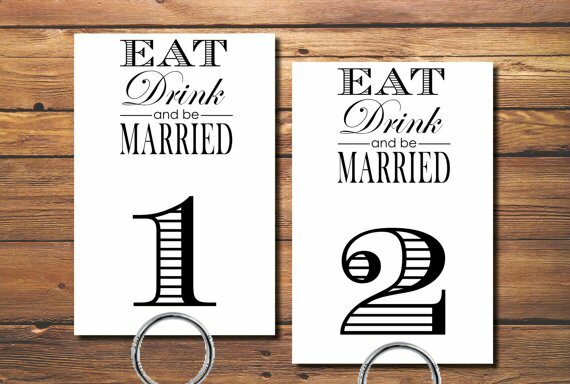 In the photo above, we shared her ‘Eat Drink & Be Married’ printable table numbers design. Below, check out the other design she offers called “Crooked Calligraphy”. Need a menu, too? She’s got ’em! She also has wedding invitations. And programs. See? So easy… you can buy the designs now, she’ll customize them, and you can print them out before the turkey is out of the oven! SPECIAL OFFER Thanksgiving week just got sweeter: Tori of Wed Designer is offering 50% off all of her printable table numbers, menus, and more! Use code DIY50PERCENT. Prefer to have stationery printed for you? She’ll give you 20% off everything else. Use offer code PRINTED20PERCENT. This offer is good on BLACK FRIDAY only, midnight-midnight CST. Skip the lines and order online in your PJs! Head over to Wed Designer and tell Tori that Emmaline Bride sent you! P.S. Have a wedding dilemma? Just ask Emma…line! Email Emma @ emma[at]emmalinebride.com and we may answer your question on our blog.